Absenteeism is a serious issue for many businesses. Running an operation with chronic absences or tardiness will reduce overall profits and weaken your business. This can drain a company’s resources in a number of ways. Budgeted wages could be off, job training could be postponed, and there could be a significant decrease in customer service. While many may shrug off employee absences as a cost of doing business, there are actually a number of ways an employer can reduce employee absenteeism. One of the best ways to improve attendance is to create a clear attendance policy. Work with your human resource department, or consider hiring a human resource consulting firm to develop a carefully crafted policy that is in compliance with current employment law. Being understanding, yet firm and reasonable will help employees stick to your attendance guidelines. Once a policy is instituted it is crucial for the business to follow through in all instances. Being inconsistent in your policy enforcement can lead to big problems. Employees are watching for how managers enforce the rules, and if some employees receive favorable treatment and others do not, it can lead to worker dissension. Your attendance policies should be well communicated and consistently enforced. Sometimes employees can go through rough patches in their personal lives, and your policy should reflect these instances. It is common for employees to struggle with significant issues including health, financial or other stressors that can harm their performance. 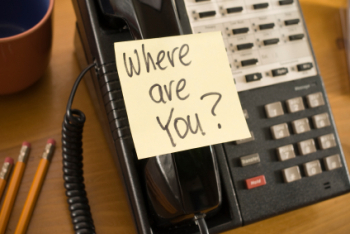 If an employee is absent on a regular basis, their supervisor should be in communication. Some employees may be embarrassed to come forward with medical or family issues that are keeping them from work. Reaching out to employees is a good way to show them that you care as an employer. It can also make the employee aware that their absenteeism is an issue. Your attendance policy should clearly lay out options including family and/or emergency leave contingencies. Many business owners think that punishing employees or calling them out in public is a good strategy to alleviate absenteeism. Punishments can be used, but these rarely work. If an employee is harshly punished, such as getting last pick of vacation weeks, reduced overtime, or being publicly berated, the employee may feel under appreciated and become disengaged with their work. Be particularly mindful of the recent national conversation on bullying in the workplace. This hot-button issue is receiving widespread media attention, which is leading to legislation on eliminating harsh public treatment of employees. An alternative to public criticism is to create a point system that tracks employee tardiness and absences. Every time the employee is late or absent, they receive an appropriate number of points. Once they reach the maximum number of points you allow, they know they will face a pre-defined discipline. Today's work environment is based on a 24/7 work schedule more than ever. Many managers are finding that custom-designed work schedules can cut down on employee absenteeism in the workplace. Finding a better balance for employees between their home and work lives, can not only reduce employee absenteeism but increase company productivity. If certain employee behavior can be relied upon, the possibility of allowing that person to work from home is also a viable option that will be a win/win for both parties. Recent studies indicate that American workers are increasingly disengaged with their jobs. No matter what system the business puts in place, it is important to treat employees with dignity and respect. 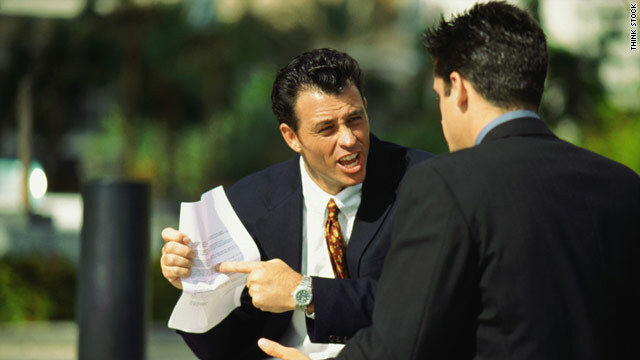 Shouting at an employee because of their attendance record or giving them constant criticism will hurt your relationship and lead to lower production. A lot of employee absenteeism occurs when workers feel they have a poor relationship with their boss or bad work conditions. In addition to constant communication of your attendance policies, it is a good practice to reward those that go above and beyond. When hiring new employees it is crucial to explain your attendance policy. Set clear expectations and offer rewards for those who meet or exceed company objectives. Recognize perfect attendance and performance during your staff meetings to show that this behavior is appreciated. Offer positive feedback to those with good attendance records and make sure that your management team is setting a great example. By focusing on an attendance system, addressing those who have repeated absences, and praising those who follow the policy, your business can improve employee attendance. This will help them your employees become more efficient, improve management/employee relations and increase your bottom line.